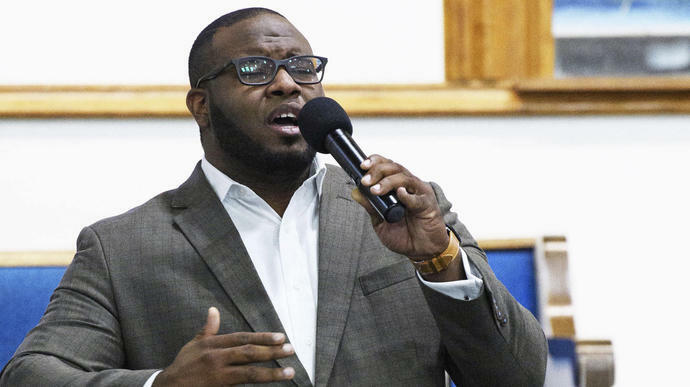 As is often the case when police killings occur, I've wondered why the death of Botham Shem Jean has garnered such widespread attention. I always do this with a degree of guilt, knowing that my implicit criticism - that many more shootings by police quickly disappear from the public mind - extends to me too. Of the raft of victims between Michael Brown and Jean, I may occasionally mistake one name for another or forget some altogether. The exhaustion that comes with memorizing a glossary of slain black people is, at times, insurmountable ― and I shame myself for not overcoming it more effectively. But the killing of Botham Jean did resonate with me in a particular way. Not because Jean was reportedly a stellar student - not because he was an avowed man of God - not because he and I were the same age - not because he was unarmed - but because his killing grossly defied a promise made: that in our homes, we are owed at least a modicum of respect. In the United States, property often carries more value than personhood. Throughout American history, we've seen this evidenced in our legal structures, as with the initial extension of voting rights solely to white, property-owning men. In modern times, we also see it evidenced anecdotally. During protests in Baltimore after the 2015 death of Freddie Gray, many around the country mourned the destruction of a local CVS more than they mourned the man for whom the protests occurred. Today, some of our most controversial laws invoke the language of home ownership to emphasize the sacredness of safety and self-defense. The common-law "castle doctrine" says that you don't have a duty to retreat but can defend yourself from harm that presents itself in the comfort of your own home. "Stand your ground" laws extend the protections of your "castle" to anywhere you may legally be, but their basis in the castle doctrine reinforces the idea that you ought not be bothered in your own space. And yet Jean, a 26-year-old accountant from St. Lucia, was shot and killed in the home he rented after Officer Amber Guyger, according to her report, mistakenly entered his home thinking it was hers. Jean had earned for himself the "castle." He'd achieved a goal sought feverishly by many blacks in America, let alone those who migrate here: a home. Jean wasn't killed in spite of this success - he was arguably killed because of it. Were it not for his navigating from St. Lucia to Dallas and becoming gainfully employed with PricewaterhouseCoopers, he wouldn't have been able to afford the apartment in which he was killed. And for this reason, I must make room for Botham Shem Jean to command my attention and outrage, even if my motives are somewhat self-concerned. Because a world in which black life can be destroyed in the safety of our own home raises the question of what a home is for any of us, if not a sanctuary from harm. Data collected by the Pew Research Center in 2017 reveal some of the obstacles to curbing police violence. Roughly 75 percent of white Americans view police warmly, according to the Pew survey, while only 30 percent of black and Latino Americans do. A separate poll from NPR and others last year found that a majority of white Americans now view themselves as a target of racism. On top of all that is our national tendency to misunderstand the urgency of social justice movements in hindsight. In our memory of the civil rights movement, for example, we presume that virtue, rather than desperation, was its guiding light. We assume our forebears operated with us always in mind: They marched for us. They took beatings for us. They died for us. In some cases, that was literally true. Martin Luther King Jr.'s invocation of "the Promised Land" and his subsequent suggestion that he "might not get there with" us shows that some black people were motivated by the prospect of security for their progeny. But the dire urgency I experience today, in the wake of Jean's killing, forces me to see my ancestors in a different light. I must consider that they, like I, may have been motivated first and foremost by an irrepressible need to remove themselves from under the thumb of racism. And they were no less valorous for thinking of themselves. I make the distinction because the belief that one advocates not for oneself but for people not yet born perverts expectations for social justice. If, in your imagination, I am protesting on behalf of future generations, you may well take your time in granting me the justice I am owed - the justice I need to survive. What Jean's killing reveals is that the conditions of black life are even more dystopian than many have thought. Intrusion into a black man's home and the subsequent shooting of that man cannot be treated as an abstract issue to be bandied about for decades to come. It is, in the truest sense of the term, an existential threat to blacks who live today. And despite the mental fatigue of fighting for a just society, we must stand up and state in clear terms that stories like that of Botham Shem Jean will not be tolerated and that those responsible will be brought to punishment under the law.